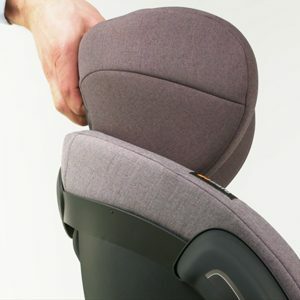 BeSafe has been developing car seats for more than 50 years. A lot has changed over this time, but our focus has always been the same: your child’s safety. With a clear vision that no children are seriously injured in car accidents, we use reality as a starting point. A reality that requires more than just ‘test laboratory’ approved products to succeed. We do not do things like everyone else, and some call us different. We call it right! With children and real life situations in focus we create the best conditions for our seats to perform. However, we will never be satisfied! New innovations are constantly developed to make our products even safer and even more user-friendly. Naturally it is your responsibility as a parent to choose the right car seat for your child, based on age and your family situation. However, it is our responsibility to make sure that our products deliver the highest levels of safety, every time, every day! A newborn baby’s head accounts for about 25 % of their total body weight. In the event of a collision, the baby’s head and neck will be exposed to extreme loads. Approximately 47% of all collisions are frontal collisions, the most common and dangerous type as they typically occur at high speeds. In the event of a frontal impact neck strain on the child is at least five times greater in a forward facing car seat compared to a rear facing seat. BeSafe recommends that children travel rear facing for as long as possible, and ideally to four years of age minimum. However, we must not forget that small children are growing. A lot is happening during the child’s first four years and the car seat needs to offer the highest safety throughout the whole period of use. Since side impacts account for approximately 25% of all collisions, it is extremely important that the side impact protection also grows with the child. During the first four years the child grows about 55 cm in height and increases by approximately 15kg in weight. The child car seat therefore needs to be able to protect the very young child just as well as the toddler. A safe and easy installation means everything for your child to travel safely in the car. BeSafe is constantly improving the installation process, making it as simple as possible. 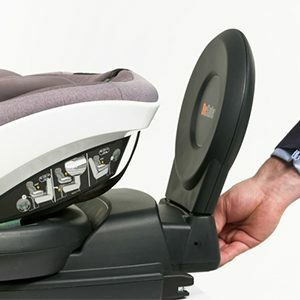 BeSafe ISOfix-installed car seats are equipped with clear indicators which show when the car seat is fitted correctly. This gives you as a parent extra peace of mind. Properly placed side-impact protection reduces the load on the child in the event of a collision from the side. 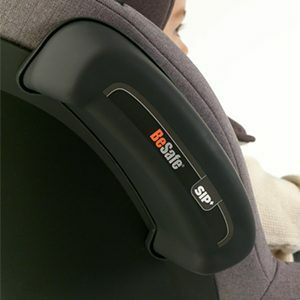 All BeSafe child seats are equipped with SIP – Side Impact Protection. In addition, we have also developed an additional side impact protection, SIP+ – Side Impact Protection +. A new, innovative solution of energy-absorbing material that reduces the loads on the child’s head and neck by up to an additional 20%. Children grow and change and it is extremely important that your car seat does the same. BeSafe car seats grow with the child in several steps. 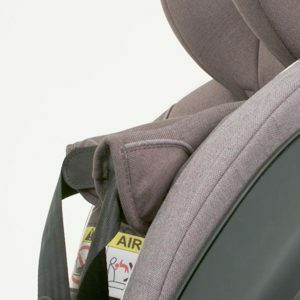 The harness can be easily adjusted to the child’s height and removable cushions ensure that the child is positioned properly in the car seat throughout the entire period of use. The adjustable sleeping positions gives the child the maximum comfort, regardless of age. One of the most common reasons for why parents turn their children forward too early is the lack of legroom. BeSafe has developed a new technology that gives your child more space for legs and thereby a longer period of use. But please remember, children are most vulnerable in the head and neck area and bent legs are not a safety risk. No matter how safe a car seat is, it will not work if not used correctly. We at BeSafe therefore place great emphasis on usability. Our products are easily adapted to your child with just a single action. A smart belt system with magnets ensures easy daily use while a simple installation makes the product easy to move between cars. All these are features designed to make everyday use easier. All family lifestyles are different. 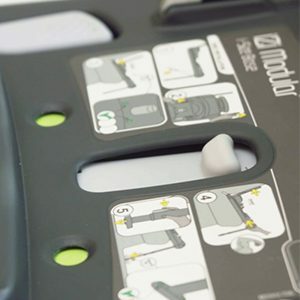 Adjustable ISOfix arms saves space in the car when the child is small, and the solution with one base and two seats increases the ease of use and makes it easy to switch between two cars. Our baby car seats are lightweight and easy to carry. 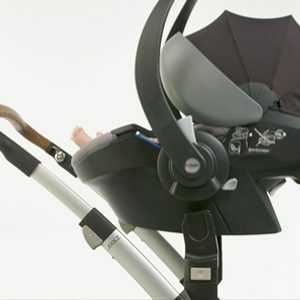 They can be clicked on most modern pushchairs and work perfectly as a travel-system.